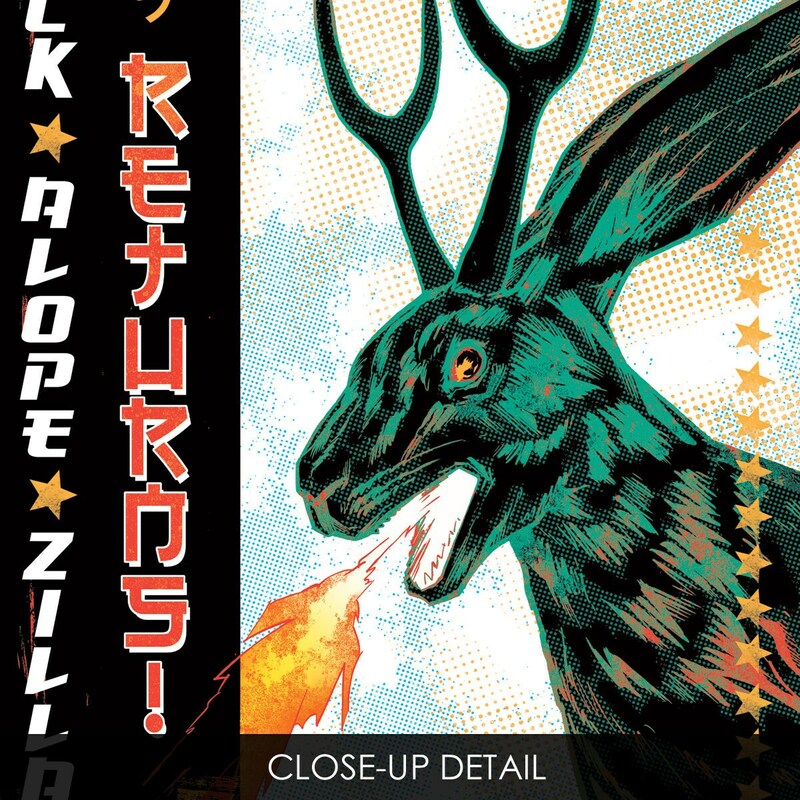 "Jackalope-Zilla Returns!" art print by Rob Ozborne. THE STORY: When you poke a monstrous Jackalope-Zilla, you get the horns! And the fiery breath! Here she comes again! Jackalope-Zilla Returns! THE ARTIST: Designed and drawn by Rob Ozborne, each print is hand-signed and numbered. THE PRINT: The artwork is printed on 13"x19" bright white matte art paper. The colors are lush. The frame is not included, but the print comes with a white border, and is ready to pop into a frame. This is a limited edition that is numbered (out of 250). 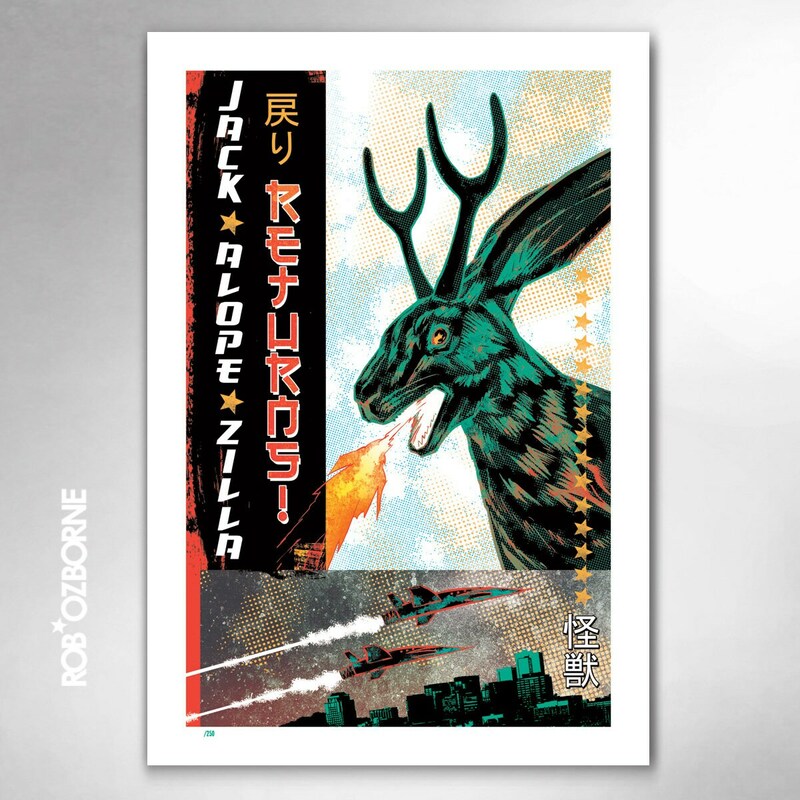 This is the second edition of the "Jackalope-Zilla Returns!" art print.